“Being BombDiggity” is not about being perfect or perfectionism. It’s also not about sticking your head in the sand–especially if you are having a terrible, horrible, no good, very bad day. If that were true, I wouldn’t be passionate about writing this blog. And for sure, I wouldn’t waste your time in asking you to read and reflect on these ideas. Let’s face it–perfect lives and flawless days are lofty goals that none of us will ever attain. And, even if we could–we couldn’t sustain. “Being BombDiggity” is not about being good, good enough, or for that matter–great. No instead, “Being BombDiggity” is about being your absolute best each and every day! “Being BombDiggity” is about starting every day with a deep-seated desire and unwaivering commitment to be optimistic and hopeful, to be positive in your approach to life, to choose the “harder right”–not the “easier wrong,” to grow and continuously improve, to make the most of every opportunity life presents, and push/stretch yourself beyond the limits of your comfort zone. When you have been knocked-down, it’s about getting back up and dusting yourself off. It’s about pulling yourself up by your bootstraps. It’s also about letting go of the past wrongs and offenses that drag you down. While all of these things describe and illustrate what “Being BombDiggity” means–the most important things about “Being BombDiggity” are these: (1) Every person, every team, every group, every department, and every organization can Be BombDiggity, (2) Each new day represents a fresh chance to learn and practice “Being BombDiggity,” and (3) “Being BombDiggity” has a positive and transformative impact on you, your friends, your family, your colleagues, your customers, your situations, your decisions, and the overall direction your life follows. So, what are you waiting for? Yes–YOU can be BOMBDIGGITY. 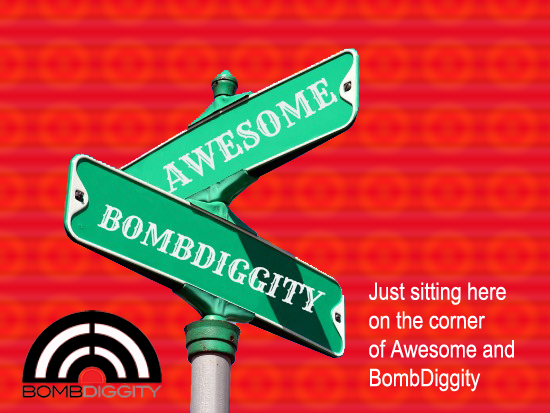 TheBombDigg is focused on Marketing, Advertising, Branding, Public Relations, Community and sometimes inspiration. But BEING BOMBDIGGITY, is a way of life–a mindset, and we wanted to encourage others to grab their positivity by the bootstraps and join in! So we have added a second blog called “Being BombDiggity” focused on, well, “Being BombDiggity” – and how to flourishing in business, life and leadership. Primarily written by Dr. Lane Morris – this will be a fantastic positive resource for being the best you can be every single day. This is reposted from 10/15 and defines BEING BombDiggity. So–ready, set, BE BOMBDIGGITY!